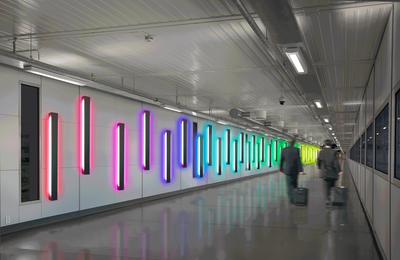 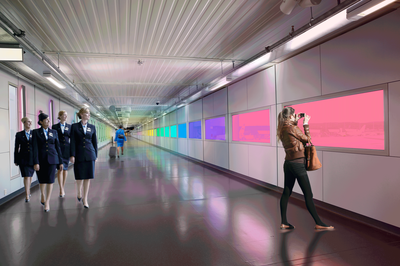 In 2013 Oslo airport had an open call for proposal of artwork for the newly built indoor walking bridge to the new addition of the airport terminal. 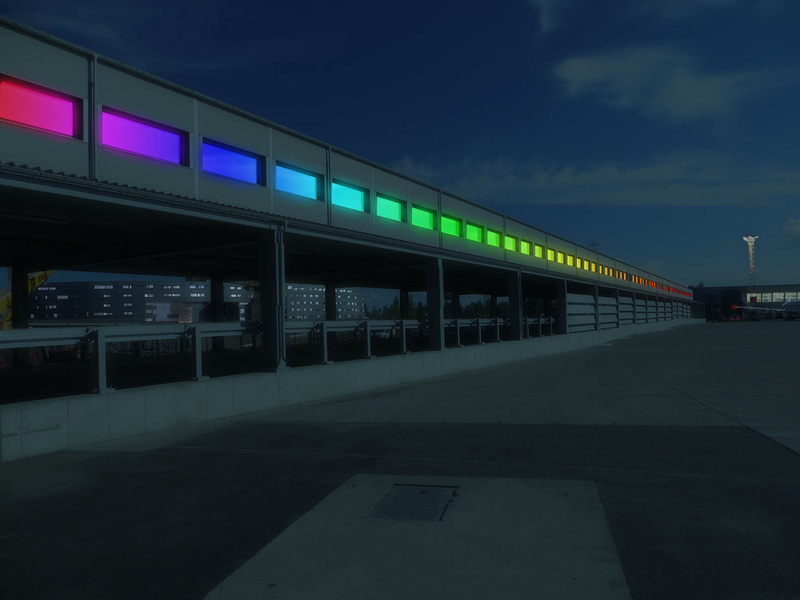 We proposed an installation of different color lights titled "Spectra Solaris - Into The Rainbow". 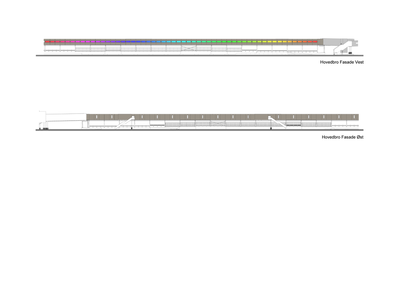 The idea was based on the rainbow as a magical entity. In Norse mythology the rainbow is a bridge between the gods and the humans. People of all cultures can relate to the mythical aspect of walking through a rainbow of light. 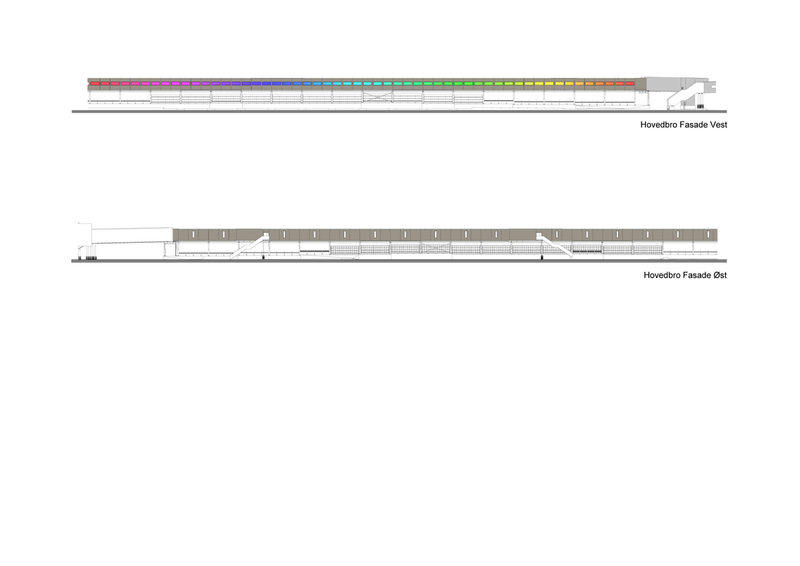 We proposed installing LED lights on one side, and colored filter on the windows on the other side.